IAEA Experts at Fukushima, April 2013. Image source: IAEA Imagebank. FUKUSHIMA, Japan — It’s hard to escape reminders of disaster here. In parts of Japan’s Tohoku region, buildings lurch askew over buckled pavement and bridges remain cracked and overgrown six years out from a deadly trio of tragedies: the most powerful earthquake in the nation’s history, a 133-foot tsunami and the worst nuclear disaster in the world since Chernobyl. 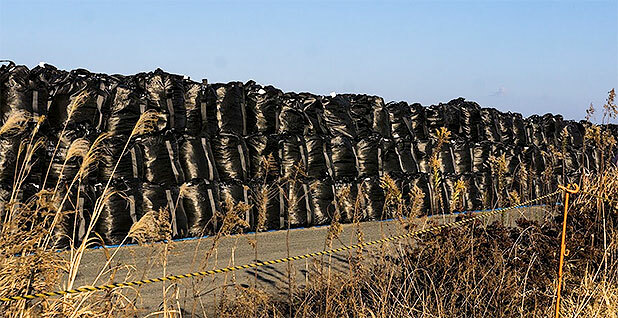 Solar-powered Geiger counters along the highway report radiation levels in real time, while farmland is interspersed with fields of black bags filled with contaminated topsoil stacked 15 feet high. A newly built gray sea wall blocks views of the ocean. But the most vivid tokens of the March 11, 2011 disasters are the people still unable to return home. In a parking lot across from a car dealership in Fukushima city, the prefecture’s capital, 75 miles away from the Fukushima Daiichi nuclear power plant, rows of identical prefabricated beige bungalows form the modern Japanese incarnation of a refugee camp. In an area looking more like a sterile industrial storage site than a neighborhood, residents are trying to carry on normal lives on asphalt lawns. But many remain uncertain of when they will be cleared to return home, and their surroundings remain stubborn signs of the nuclear disaster. Like Aoki, many people who were directly affected by the disaster want to reduce the country’s reliance on nuclear energy. Still, some Japanese are reluctant to take nuclear off the table. 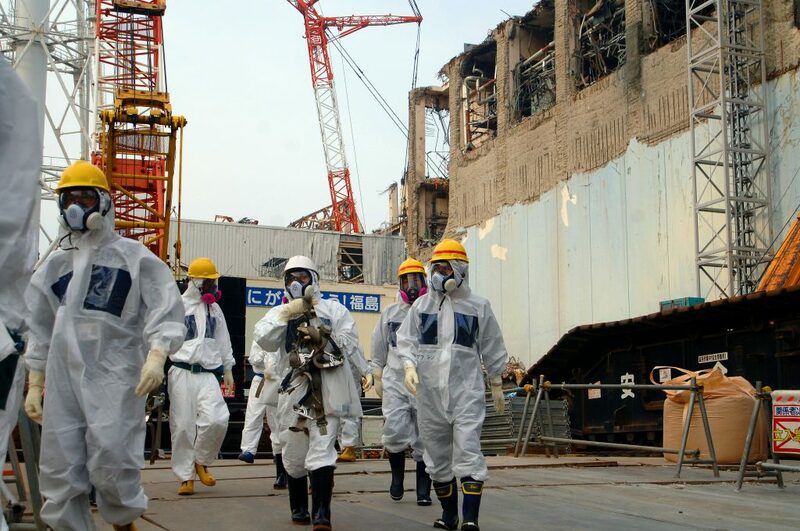 After the catastrophe, Japan shut down all 54 of its nuclear reactors for safety inspections. The fleet has an average age of more than 30 years. Six years later, only a handful are back online. In a poll last year, Japanese newspaper The Asahi Shimbun reported that 57 percent of the Japanese public did not support restarting nuclear reactors; 29 percent were in favor of doing so. The Fukushima prefecture as a whole wants to switch to 100 percent renewable energy, so any nuclear power plants remaining in the prefecture would be selling power to other parts of the country. This complicates the picture for the Japanese government. Prime Minister Shinzo Abe made nuclear energy a centerpiece of his economic strategy. 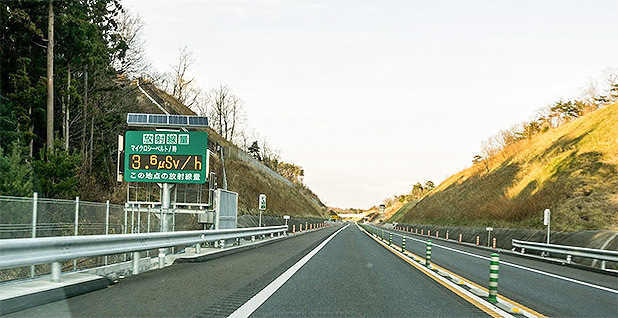 Japan meets about 84 percent of its energy needs with imports, but nuclear power gave the country an energy source that played to its strengths in high-technology manufacturing and a robust domestic supply chain. With the bulk of the fleet offline, the country is importing more coal and natural gas to meet the electricity production shortfall. “Until 2011, about one-third of electricity in Japan came from nuclear,” said Daniel Aldrich, director of the security and resilience program at Northeastern University, who studies Japan. The country had plans to increase its share to 40 percent. Now, keeping all of the existing fleet running seems unlikely. One consequence of the nuclear decline in Japan: an increase in greenhouse gas emissions, which rose to 1.4 billion metric tons in 2014. For the world’s third-largest economy and fifth-largest greenhouse gas emitter, this makes it challenging to stay on track to meet its target of cutting emissions 26 percent below 2013 levels by 2030 under the Paris climate accord. Other countries are paying close attention to Japan’s nuclear energy strategy. As an island nation with limited natural resources, Japan is dependent on foreign energy sources. Rapidly developing countries like Thailand and Indonesia are in similar situations and are looking to Japan as a potential nuclear technology supplier. Meanwhile, Japan’s neighbors South Korea and China are also betting on nuclear power, both as a domestic energy source and as an export product. China alone has 21 nuclear reactors under construction. On the other side of the world, Germany reversed course on nuclear power shortly after the meltdown at the Fukushima Daiichi nuclear plant. Chancellor Angela Merkel’s government went from proposing license extensions for nuclear plants in Germany to committing to shutting down every reactor in the country by 2022. The United States is also building new nuclear reactors, but their future is in peril after reactor builder Westinghouse Electric Co. LLC declared bankruptcy earlier this year. Westinghouse is owned by Japanese conglomerate Toshiba Corp.
U.S. Energy Secretary Rick Perry recently visited the wounded Fukushima Daiichi nuclear power plant and met with his Japanese counterpart, Hiroshige Seko. During his visit to Japan, Perry reaffirmed the U.S. role in fighting climate change, despite President Trump’s withdrawal from the Paris climate deal, according to the Associated Press. Some analysts say that nuclear energy is going to percolate even further in U.S.-Japan discussions, because the two countries have many things in common in that sector. “This is going to be a Trump-Abe issue at some point,” said Andrew Paterson, a principal at Environmental Business International Inc. and Verdigris Capital. 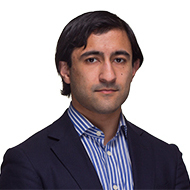 He noted that in most other countries, the nuclear energy industry is a state-run enterprise. “Japan and the U.S. tend to be the exception because they have healthy stock market trading that allows them to fund private utilities,” Paterson said. Despite headwinds, the Japanese government wants to hit a target of 20 to 22 percent nuclear energy by 2030 domestically and wants to finance the construction of Japanese reactors in other countries. Japan currently has three nuclear reactors under construction and three construction projects on hold. Yoshimura said that most reactor designs are comparable in safety, because they are held to common safety and licensing requirements. The looming hurdle for the industry is cost. “Nuclear is an economic issue, not a design issue,” said Yoshimura. Hitachi’s flagship design is the Advanced Boiling Water Reactor, which the company bills as the only generation three-plus reactor in operation today. There are four such reactors in operation in Japan. The company is driving down costs with this technology through standardizing designs, producing more electricity per reactor, more compact layouts for plants, faster construction time and shrinking downtime. But for the nuclear industry to advance in Japan, it will have to do more than change the economics; it will have to change minds. The nuclear restart has been a ballot issue for gubernatorial elections in some prefectures, with nuclear opponents taking office. Some have walked back their hard line against nuclear, but the sentiment against those plants remains strong. Some residents of Fukushima who aren’t refugees also have mixed feelings about the prefecture’s push for renewables and away from nuclear power. Kazuo Ohashi, 74, said that the pursuit of nuclear energy comes from demands from industry, not from the people. The Japanese know firsthand what nuclear can do, first as a weapon and then as a fuel, he said. On the other hand, he noted that Japan right now can’t run on wind and sunshine alone. Evacuees, however, have a harder time coming to terms with splitting atoms for electricity. Natsuko Igarashi, 54, said she is opposed to nuclear power because there isn’t a solution yet for the waste. “Just leaving the waste is a bad legacy for the future,” she said. Igarashi used to live in Iwaki, a coastal town near the Fukushima Daiichi plant, but was evacuated to Koriyama farther inland. After the explosion at the plant, she said, she was scared to open a newspaper. “If Fukushima is a clean energy model, then it would be great,” Igarashi said. However, she is concerned about the cost of the transition to renewables and whether people could maintain the same quality of life, she said.